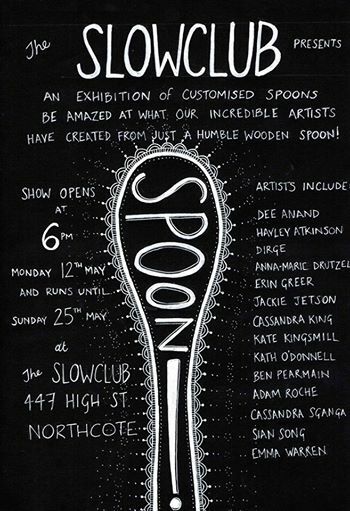 I made a knitted spoon for the upcoming “Spoons!” exhibition at The Slow Club. It’s called “A Spoonful of Threads” (original name was “nice and slow”). 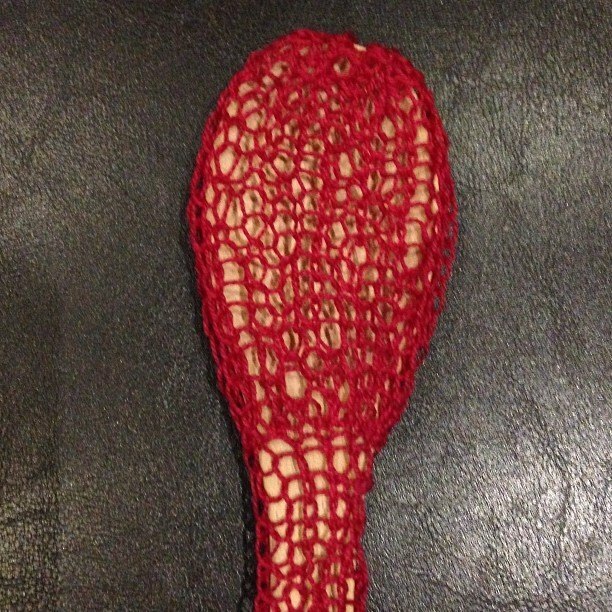 I was thinking of a slow / handmade theme – slow baking, stitching, knitting. I was going to do stitching but ended up knitting. 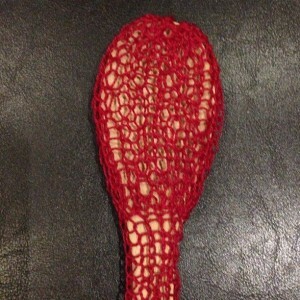 it’s using three stitches — knit, purl and knit-from-behind, in random order to give the holes some texture. 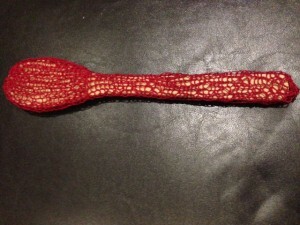 the wooden spoon is made of birch wood and I used red embroidery thread. it was a short callout—so I made it over the weekend. the exhibition runs from May 12-24th. here is the call for submissions & here is the event page. 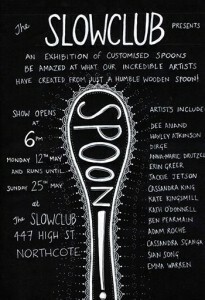 The Slowclub has since changed names to The Snug.